Earlier this spring, Senior PR Manager Christine Denham traveled to New York City to check out TPG Sports Group’s third annual Sports Tank event – the world’s only sports-specific pitch event designed to provide ten sports-related startup companies the opportunity to pitch their ideas to potential investors and influential sports executives. The star-studded line up on stage included the President of the Indiana Pacers, the Co-Founder of Fan Duel and senior executives from behemoth companies like NBC Sports Group and Barstool Sports, to name a few. Christine had the chance to sit down with the mastermind behind Sports Tank – Pete Philo, the President of TPG Sports Group – to figure out how a wildly successful event like this came to fruition. Your career has had quite an interesting trajectory. Tell us about how you went from playing professional basketball in Europe to crossing over to the other side of the lines and becoming a Director of Scouting for an NBA team. When I started playing professional basketball in Europe, I was at the age when you didn’t know much about anything other than playing basketball. The one thing I did know was that I loved connecting with people, and – while my focus was certainly basketball – I really valued forming healthy relationships and meeting new people. Ultimately, this proved to be incredibly helpful once I retired from playing ball. One of the relationships I built was with the president of the Dallas Mavericks – Donnie Nelson. Every summer when I came home, I would head to Dallas and play summer basketball at the Mavericks practice facility. After the workout, I would knock on Donnie’s office door and ask for five minutes. Over time we built a rapport and trust, and as I approached my retirement from professional basketball at the age of 30, he helped me land a job as an international scout for the Dallas Mavericks. At the same time, another mentor of mine over the years – Tom Shine – opened the door at Reebok to a position focused on identifying and endorsing international basketball players that were on their way to the NBA. It was during this time, we realized a need for a pre-draft event for international players to increase their chances of being drafted into the NBA. Problem solving and backdooring into a solution is in my nature – and it is from there that Tom gave me the budget to put together the first ever Reebok Eurocamp. I went on to oversee the event for nine years and had 82 players drafted to all 30 NBA teams while concurrently working as a scout for the Dallas Mavericks, Minnesota Timberwolves and Indiana Pacers. We have to ask – what big NBA players did you help draft? While it is certainly a team effort – I drafted Kevin Love, Ricky Rubio and Myles Turner to name a few. 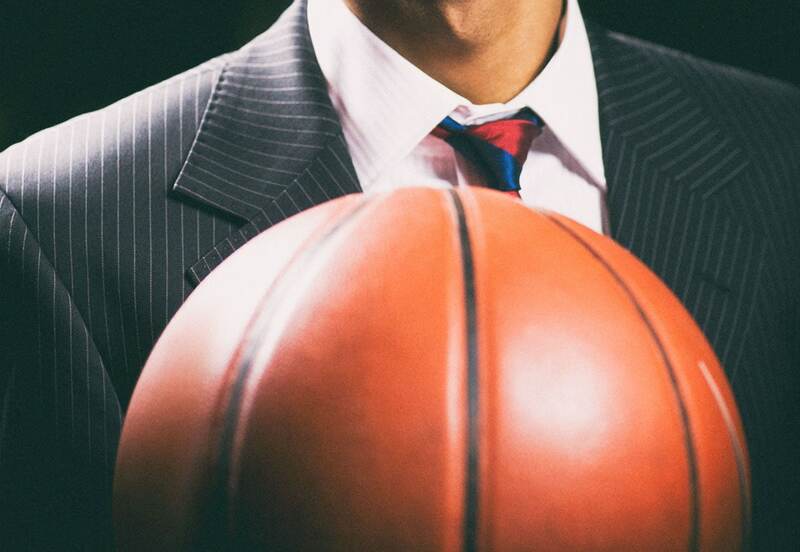 You went from life on the road as a scout to starting your own sports event company. Tell us about the transition. When 2012 rolled around, I was prepared to pivot to my next adventure – and that is how I started TPG – a global sports events company with the primary focus of educating industry leaders of tomorrow. Always having a bit of an entrepreneurial spirit, I was fascinated in the world of sports startups. Under that overarching umbrella, we have a handful of annual events including Sports Tank, a sports startup competition connecting companies with potential investors and partners, and Pro Scout School – a one of a kind event for anyone interested in scouting, player personnel, coaching and basketball operations. You recently hosted your third annual Sports Tank event in New York City. Tell us more about Sports Tank and how you made the idea a reality. My exposure to the community made me aware of the challenges sports startups face when looking for not only funding, but partnerships. The goal when launching Sports Tank was to create a platform that connects experts in the sports industry and sports-specific venture capital firms with rising sports startups. The past three years have been tremendously successful – yielding numerous deals for companies including iSlide and Physmodo which helped to propel these innovative brands into the big leagues. Know when to shut up. Be a good listener. Ask good questions in an efficient manner and be extremely loyal. When reflecting on your career thus far, what makes you the proudest? Knowing I’ve helped someone further their career is the most rewarding feeling for me – whether it’s making an introduction that ends up opening a door for someone, or hosting an event that leads to a connection down the road. What top trends in the sports startup world are you seeing? Everything from eSports and virtual reality to tracking and wearable technology. ESports, specifically though, is going to show numbers we’ve never seen before – it can be played from China to San Francisco to New York because there are no languages spoken. Now you can play anyone, anywhere – and the numbers of participants, sponsors and companies that jump on board will be astonishing. I am also very interested in following the health and wellness sector as it pertains to sports and biotech – which, for example, can use an athlete’s DNA to predict and enhance their athletic performance. While we are still a few years away from the technology fully coming to fruition, it is going to have a significant effect on the sports world when it rolls out. What piece of advice do you give to folks in the sports marketing industry or looking to break into the sports marketing world? I really stress the value of a forming a genuine connection with someone versus simply networking. The value of making a genuine connection is something that propels all of us into success; people aren’t hiring much anymore in sports on merit and skills, you get hired because you are genuinely smart, trustworthy and loyal. I hire the smartest person I can find that is hardworking and loyal – it’s not just about the most highly skilled people. Learn more about TMG’s work in Sports – Turning sports fans into brand fanatics.